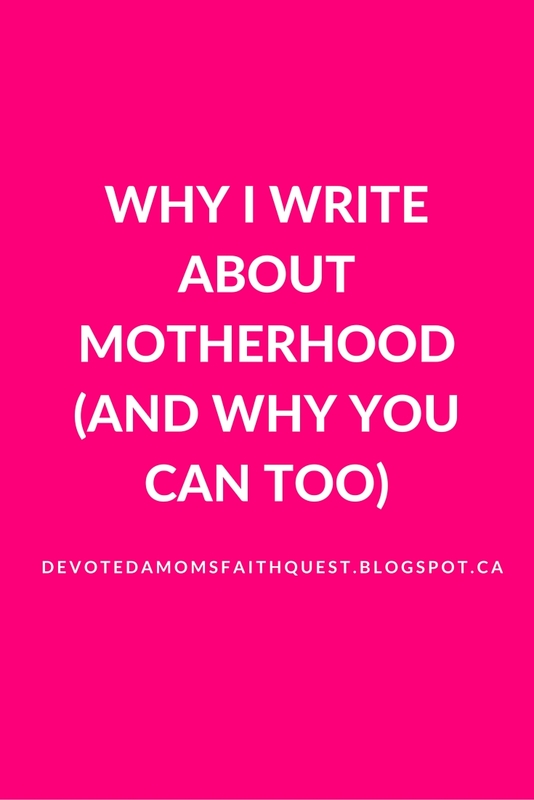 If you've been around here for any length of time you know I write about motherhood and things that go hand-in-hand with motherhood a lot. You may also be aware that I've been working on a book about preparing for motherhood for the past year. Now here's the thing. If you know me at all, you're probably thinking, well I know her kids and it's not like she's any kind of parenting expert, let alone someone I'd go to for advice. And you'd be right. I'm no expert. I'm not the one to be giving advice. At least for most things related to parenting. I'll be the first to admit I often feel as clueless as the greenest parent out there. And yet I believe that each of us has an opportunity, even a responsibility, to offer encouragement to those around us. If we wait until we're in a place where we feel we have most of the answers, we may not only wait far too long but also find ourselves in a dangerous place. If nothing else, the ones who really need our message may find us unrelatable. That's how I know I can share my message. My perspective. My voice. My writing. If we were required to have all the answers, I for one would never write. I wonder how many, if any, would? Perhaps my missteps and my triumphs can help you see your own through a new or different lens. Just as I gain a new perspective for myself by hearing other's experiences, I hope my experiences can do the same for others. There is also the need to be vulnerable if we are to grow as Christians and as mothers. Putting my thoughts in writing and sharing them with the world is an act of vulnerability that I have cringed at for years and still do many times! Yet I realize that in constantly hiding behind a shield of so-called "safety", I will very possibly miss out on some of the greatest benefits to my life, including my growth as a Christian and as a mother. I have become aware of the fact that if I hope to realize my dreams, if I want to be brave and courageous, if I want to emulate the people I admire who allow themselves to be seen and heard, then I too will need to take the baby steps (and sometimes the leaps of faith) and become vulnerable in ways that may not be comfortable. Not in ways that are humiliating or shameful but in ways that push me to stretch, grow and move beyond my comfort zone. 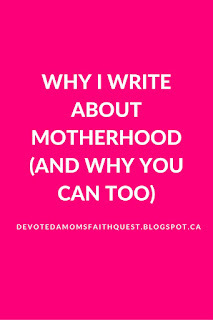 One of the main reasons I have chosen to write about motherhood is because I have had a difficult time with the concept of motherhood from almost my earliest memories. I believe in the value of motherhood. I understand its immeasurable value to every individual and to society as a whole. However I have always struggled to understand how motherhood fits into my own life and I am constantly challenged to increase my understanding and acceptance of the motherhood role I am called to fill. And so this is the place I write from: a place of learning and growing. I'm not where I used to be but I'm not where I'm going to be either. Today I'm right here, working my way through the ups and downs of genuine acceptance, joyful living, hard times, moments of clarity and occasional losses of purpose and vision. Life is real. Motherhood is real. It's not always easy but it's not always desperately hard either. The only constant is the surging and ebbing of joys and challenges and the need for faith, courage and vulnerability as I learn to mother my beautiful children. 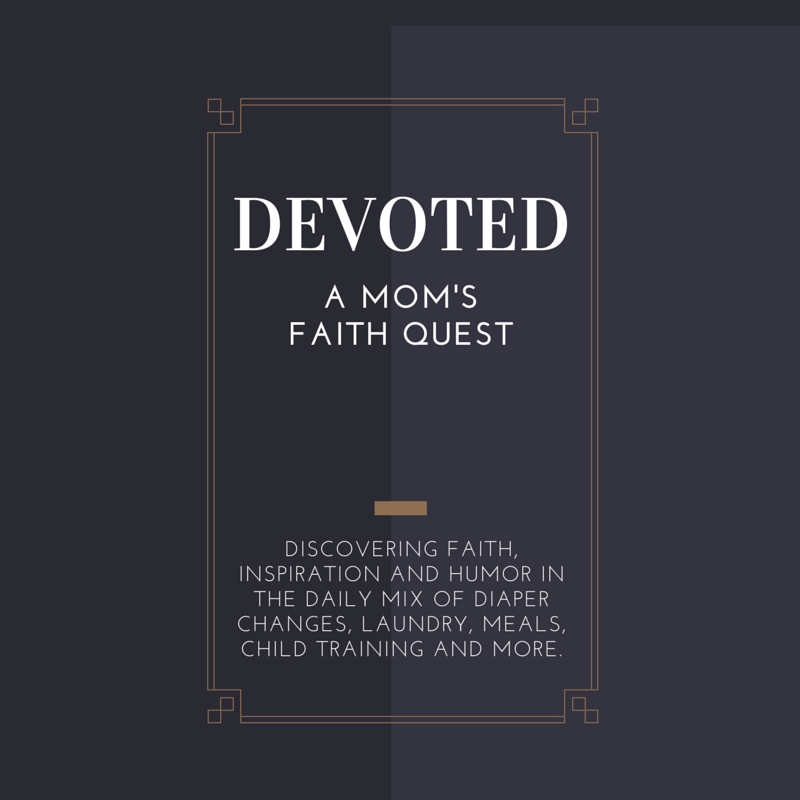 With that in mind, I share my stories of motherhood and hope you'll share yours too.